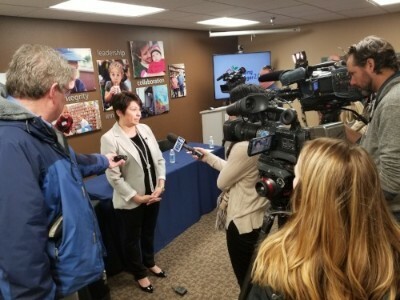 The Great Plains Food Bank values relationships with media outlets across North Dakota and the nation to help in spreading the message of the critical need for food assistance for one in nine individuals across the state. If you are a media member that would like to receive press releases from the Great Plains Food Bank, contact Communications Manager Jared Slinde at 701.476.9107 or jslinde@greatplainsfoodbank.org. If you would like to be added to our email list to receive periodic updates and opportunities to give including Portions, our monthly e-newsletter, contact Communications Manager Jared Slinde at 701.476.9107 or jslinde@greatplainsfoodbank.org. Provide your email address to stay up to date with highlights from the Great Plains Food Bank including Portions, our monthly e-newsletter. By supplying your email address, you agree to receive periodic updates and opportunities to give.